In a world in which commercial real estate seems to be continually in a state of flux, LiquidSpace is making even more changes. The office space network recently announced a launch of monthly rentals, thus giving growing teams as well as startups the ability to book office space on a month-to-month basis without worrying about being tied down by long-term commitments. With no leases to worry about, there are also no hassles. The move comes at the perfect time, when commercial property owners and growing teams and startups facing a challenging conundrum. 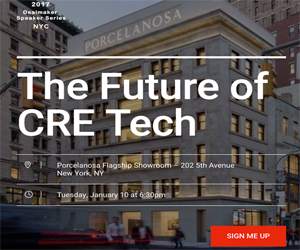 While startups and fledgling companies experiencing rapid growth are often desperate seeking viable office spaces, the commercial real estate industry has remained somewhat rigid in its offerings. Much of this is due to the fact that most spaces are designed in such a way that they simply do not meet the needs of young companies. LiquidSpace is now aggressively targeting this niche market. The company targets teams of up to 50 people requiring space ranging between 100 and 5,000 square feet. In the past, LiquidSpace concentrated on offering workspace on an hourly and daily basis, and with great success. The company has grown on a global basis, solidly demonstrating a strong need for small-team office space availability. More and more startups and small companies are now seeking flexible terms over traditional office space leases. As a result, the commercial real estate industry is poised to make a dramatic change, and LiquidSpace is standing at the ready to meet the needs emerging from that shift. All it takes is a few minutes for prospective tenants to find and book the space they need on LiquidSpace. For property owners, the system represents an excellent opportunity to bring in additional revenue by leasing out excess space within their own offices, while saving money and time. For instance, there is no need to worry about marketing with LiquidSpace. Property owners do not even need to be concerned with collecting rent or negotiating leases—a process that can be time-consuming. One of the ways in which LiquidSpace is helping to re-invent the traditional office leasing process is with its DASH License. Rather than using old-fashioned leases, tenants and property owners can now use the DASH License to close transactions faster, and with far less expense. Traditionally, the process of reviewing a lease could take a month or longer, and cost a small fortune in attorney fees. All it takes is a click to execute the DASH License. The technology-driven model used by LiquidSpace, along with an exclusive network and robust legal framework, resolves many of the challenges often found in the office sector. Currently, LiquidSpace has space available on a monthly basis in New York, San Francisco, Orange County, Los Angeles, and Boston. The firm has reported it has plans to introduce office space on a monthly basis across its global network by the end of the year.